WALSH TRX450R A-arm & tie rod kits are available for 2004-2005 or 2006-2014 spindles. 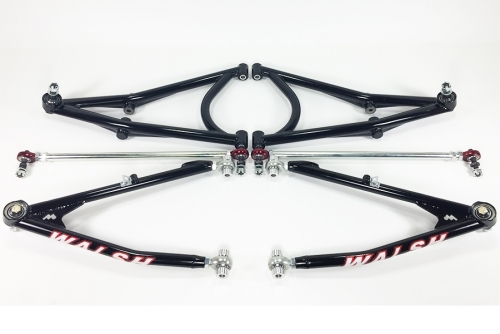 Fully adjustable caster, camber and toe-in to fine tune your front end for the best performance possible. Designed to reduce bump steer to the least possible amount.